EOS has been on the hype train for the past few weeks and its price has increased by 69% since February 8th. According to CoinGecko, EOS has a Market Cap of 5.47b USD and a Total Supply of 1.039b, currently ranked top 4 in terms of market cap. The volume is pretty good as well, currently at almost 4.85b, that has been an increase of almost 1b in the past 24 hours. 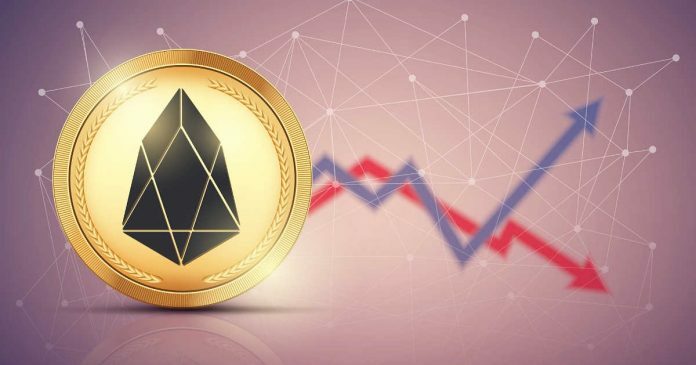 EOS is currently valued at around $5.26, almost 4 times less than the price in the last year’s bull run. EOS is doing pretty well when compared to other Cryptocurrencies. I think it’s undervalued because it’s the second dapp platform of choice after Ethereum, with currently 367 dapps and counting. Let’s do some TA, shall we? On the daily chart, we can see that there is indecision in the market. EOS tested the overbought area on the RSI and fell to 10.3k sats, however, it recovered pretty quickly. I see EOS going in the overbought territory soon. Moving forward, on the 4-hour chart, we see EOS currently bouncing inside the small channel (light blue lines). I would expect it to move inside the inner channel for a while and then break through the 11.5k resistance. After that, I’d expect EOS to test the 12.15k sats resistance. The worst-case scenario is the one in which EOS will not stay in the inner channel, and will consolidate at 10.3k Sats for a while. To keep in mind that a flash move to and back up from 10k sats could happen as well. I am convinced that EOS will do very well in the long term. Meanwhile, in the short term, I see the potential of another 10-15% gain. In conclusion, I am bullish on EOS.